Is Cracking My Own Neck Safe? You’ve been staring at your phone for a while and your neck feels stiff. You roll your head around to loosen up and you hear a soft pop from your neck. Ah, you feel better. Sound like you? You’re not alone. Your neck, along with your knuckles, low back, hips, ankles, and toes, can be “popped” or “cracked”. But as much as this simple activity can loosen stiff joints and give a quick rush of endorphins, what happens when you pop your neck and is it harmful? What Makes that Popping Noise? How Much Neck Popping is Safe? “The day-to-day neck cracking you experience is probably safe,” says Dr. Walton. The risk comes when you either do it too often, or force it by pulling or twisting your head with your hands. Worse yet when you have someone who isn’t a doctor do it for you.” The more you force any joint beyond its natural range of motion, the more you stretch the ligaments. Since ligaments that are stretched too much remain stretched, you could be setting yourself up for joint instability and misalignments. What if I Go Too Far? If you have a history of neck stiffness so much so that you frequently have an overwhelming urge to crack it, or if you cracked it and have neck pain as a result, it might be time to consult a physician. 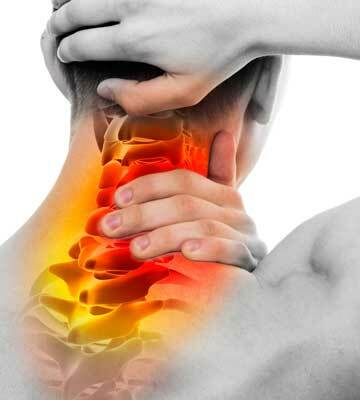 A medical professional should assess any pain, numbness in limbs, or loss of strength experienced by neck cracking. The last thing you want is for the issue to get progressively worse while you’re waiting for your doctor to have time to see you and send you to see a specialist. You can bypass the waiting period by coming to see one of the physicians at SpineOne. We offer same-day appointments for urgent relief, and you don’t need a referral from your doctor. If you’re experiencing excessive pain or discomfort after popping your neck, schedule an appointment today.